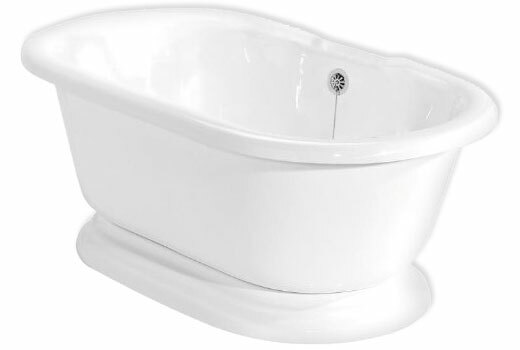 $2677	air-Jetted Bathtub in White w/Standard Chrome Drain. Bisque Tub and Drain Upgrades available. 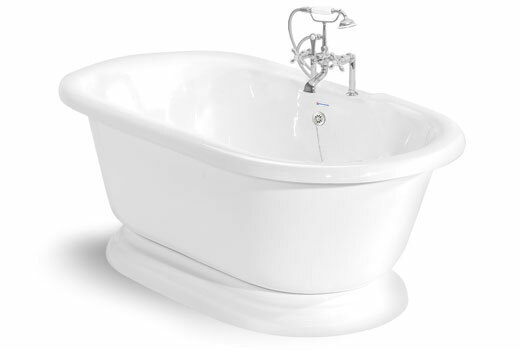 The Champagne Nobb Hill is a 60", air-jetted, acrylic pedestal tub made of ®Acrastone. This 5' pedestal bathtub with the Champagne Massage air system is available in white or bisque. The blower connection for this tub, due to it being a dual ended tub, will be centered, as closeley as possible, along the side of the tub where the overflow hole is drilled. This tub works well with the included traditional waste & overflow with the old fashioned rubber stopper and chain, or with the upgraded lift and turn waste & overflow. Our Champagne Nobb Hill is also available in as a soaking tub. See the Nobb Hill Soaking Tub. Faucet Holes will be drilled on rim at 7" on center at no charge if the deck-mount faucet option is selected as part of this order. Deck-mount faucet holes can be selected at a cost of $75 if deck-mount faucet option is not selected. 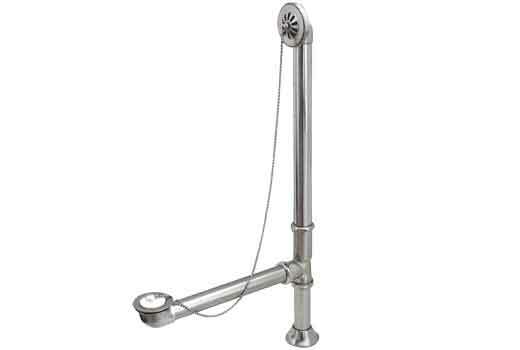 Note: Freestanding faucet does not require faucet holes. The blower connection for the air system will be located as close to center as possible along the overflow hole side of the tub. 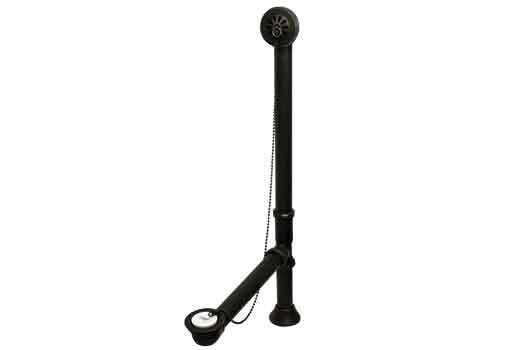 The blower will sit on the floor, tucked between the bathtub and your bathroom wall. 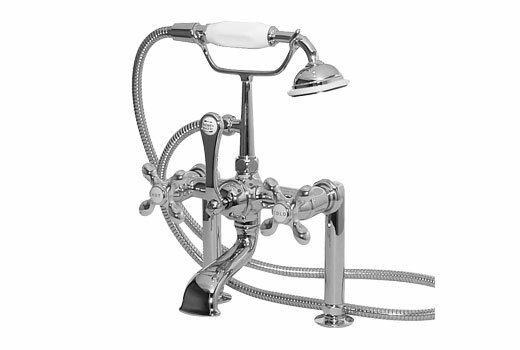 The Champagne Nobb Hill can be ordered with or without faucet holes drilled on the rim of the bathtub. The Champagne Nobb Hill can also be ordered as a soaking tub. 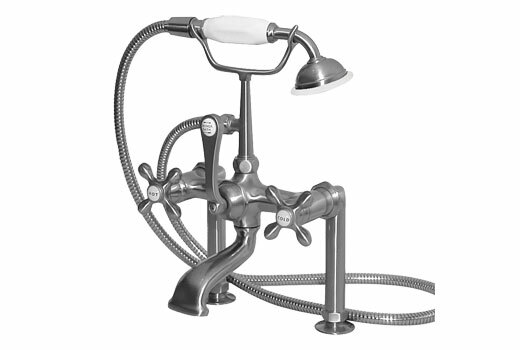 For the best price on a complete tub package please select a faucet listed in the faucet options for this tub. This will save you money. If you were to order the same faucet from elsewhere in the website, rather than selecting as one of the options, the price would be higher. We've put together the best options and applied a discount. If you select the optional deck-mount faucet from the available options, your faucet holes will be drilled at 7" on center, to fit the faucet, at no charge. 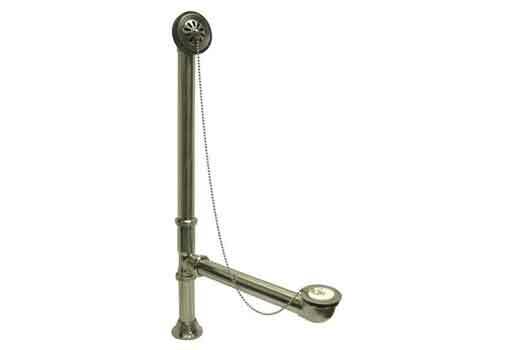 Also, if the deck-mount faucet option is selected your straight water supply-lines will be included to match. 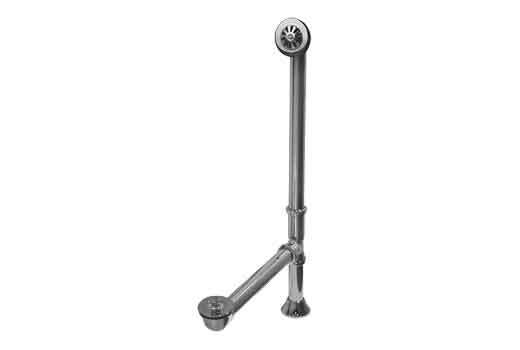 Faucet hole drilling, on the rim, at 7" on center, is available for $75 if you do not select our optional faucet but wish to have the holes drilled.